Well, 2016 is here (has been for a while now) and it’s time to take a final look back at 2015. It’s been a good year for AWR Cloud. We’ve added some cool new features (I know, bragging), and a lot of improvements and little things that we hope are making your work a bit easier. I figured I’d go over them once more, in case some of you missed them or need a bit more info on how they help you. We know you guys love Google, so we thought we’d give you some more insights on how Google changes every day. We decided to pull some stats from the data we’ve already been gathering for the Google Algorithm Changes tool. The AWR Google SERP Features is a tool that analyses the SERPs (around 12,000 keywords) and finds out the features that are present (such as AdWords, local results, video, images and even carousel). So you get a pretty good idea of how often and to what degree these elements occupy prime real estate in the SERPs. The information in this tool is meant to help you decide whether you need to focus on more than just organic rankings. 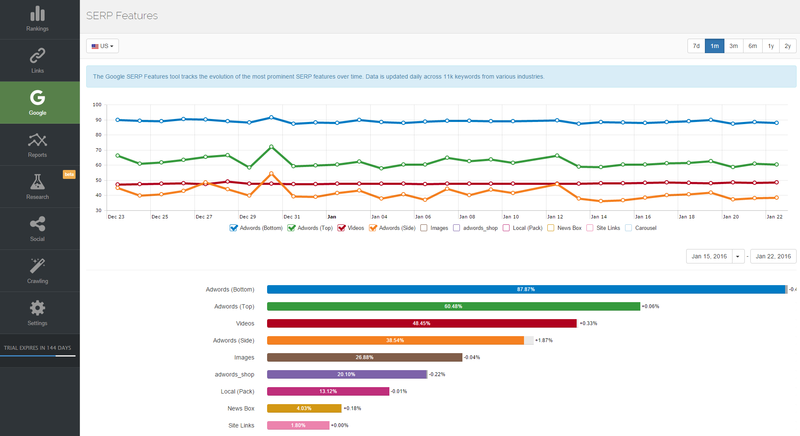 Another tool we’ve added that will give you more Google insights is the Google Keywords. It’s all about your own keywords and websites. The Google Keywords tool pulls data from your Google Search Console account. The data is analysed and can help you draw some conclusions. For example, the Click Opportunities metric that we’re calculating can help you quickly identify where there is room to improve CTR by showing you how many clicks you lose from a keyword’s full potential. Then you know you can optimize better around that keyword and improve your SEO results. You get to see how these keywords fare on all mobile devices: desktop, mobile, and tablet, or compare between devices to find out where a particular keyword gets more Impressions, a better CTR, Average Position, or more Clicks. You can trace any changes and evolution of these keywords all the way back to when you started your projects in AWR Cloud, so you get a real sense of how your strategy is progressing. The data presented by the tool is split across several devices such as desktop computers, mobile phones, and tablets. The data can also be compared side by side for each combination of two. The best part of it? We keep historical data for more than the 90 days that Google Search Console provides, so you can really see if your efforts have paid off. We released the Google Not Provided feature very early this year, but it was made in late 2015. 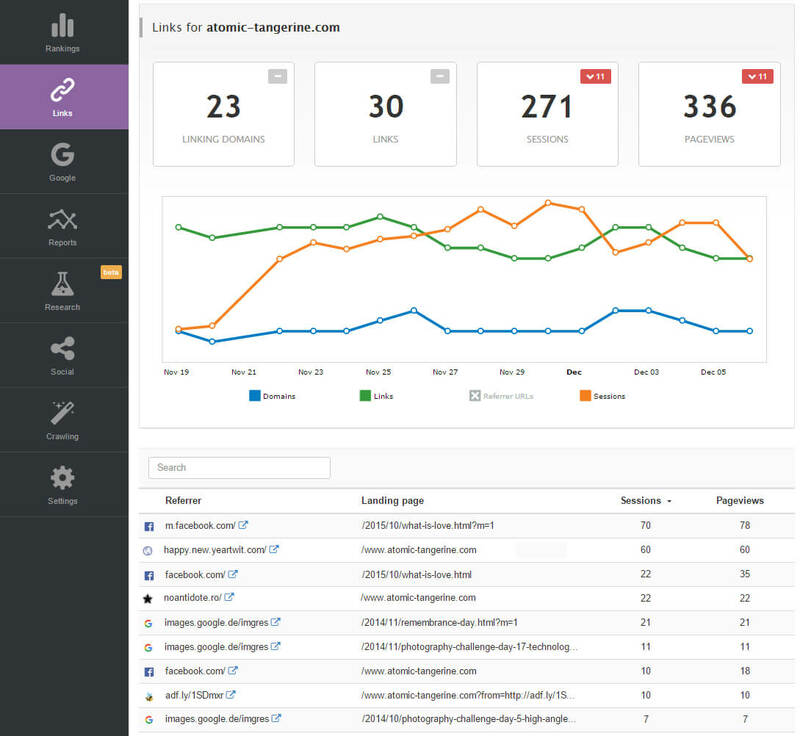 By connecting your website’s Google Analytics and Search Console accounts to AWR Cloud, you’ll soon get some of your precious keywords back. How does AWR Cloud do this? It combines the number of clicks from the Search Console with traffic values for not provided terms from GA, thus managing to recover most of your search terms, but you can read more about it in this article we did a short while back. In late 2015 we added two more major features. One is the Events center. We noticed that some of our users need more transparency in managing their user accounts and want to know more about what happens in their accounts. We decided to log some of the actions that happen within AWR Cloud for each user. 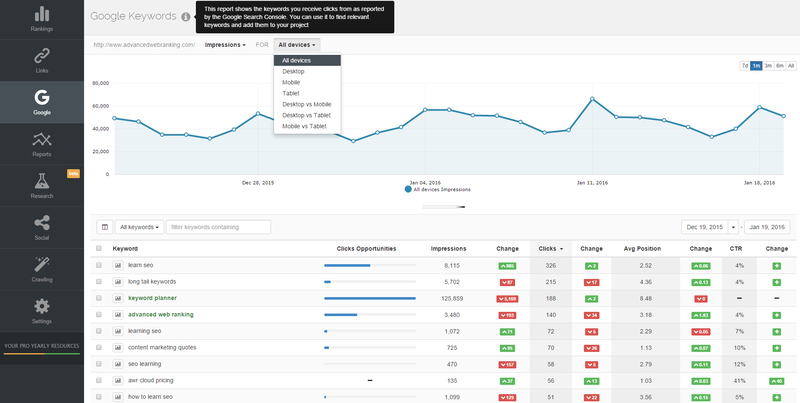 In short, the Events center will help you better manage and supervise your SEO team. The second important feature is the Links section. This section pulls data from your Google Analytics account, so connecting your Google Analytics is a must. The data is presented by various groupings. We’ve started off with the Google Analytics integration because it was the quickest way to give you some usable data about your referrals. We’re so not done with the links! This is just the beginning, so stay tuned! So, what do you think? Did you find these new features useful? Have you already integrated them into your work? Here at AWR we breathe data. Everything we do somehow relates to it, or we turn it into data for fun and utility. And since we just went through a retrospect of AWR Cloud’s evolution, I thought I’d add some data insights about our internal strife with development and customer support behind all these new features, and the tool itself. You gotta love those numbers. We do. Thanks again for tuning in, I hope you’ll continue to be pleased with our tool, and I look forward to your feedback and opinions!